Because it was Queen Elizabeth's Diamond Jubilee in the UK, we did a weeksworth of books with a first publication date of 1952. As these entries were so popular, we've found a few more to feature. Even Archie Gilbert, who had immediately preceded me in the hall – he had never been known to be late for dinner – looked that night as if he might be feeling the heat a little. His almost invisibly fair moustache suggested the same pique material as the surface of his stiff shirt; and, as usual, he shed about him an effect of such unnatural cleanliness that some secret chemical process seemed to have been applied, in preparation for the party, both to himself and his clothes: making body and its dazzling integument, sable and argent rather than merely black and white, proof against smuts and dust. Shirt, collar, tie, waistcoat, handkerchief and gloves were like snow: all these trappings, as always apparently assumed for the first time: even though he himself looked a shade pinker than usual in the face owing to the oppressively climatic conditions. observations: Archie Gilbert is in non-ferrous metals, and goes to all the debutante dances – in fact he is such a socializer that narrator Nick Jenkins wonders if the job is perhaps a polite fiction, because how could he find the time to work as well? But a few pages later there is a gleam in Archie’s eye when mineral deposits are mentioned, so perhaps he does work after all. The book has – like many of Powell’s series (this is the second of the 12-volume Dance to the Music of Time sequence) – very long detailed descriptions of a number of social events, going on in real time, a bit like the film Titanic. The parties are greatly contrasted. There is a dinner to precede a dance, then the dance, both highly respectable, and then a much more louche affair at Milly Andriadis’s – but still with many of the guests in evening dress. People either love these novels or are dismayed by them. They are elitist, snobbish and quite racist, but they present a picture of a certain sort of life in England from the 1920s through to the 1970s, and are very entertaining. Anthony Powell is excellent on gossip and analysing a social event, and on very real-sounding conversations and jokes, even if the milieu is totally unfamiliar. He is shameless about presenting these simple matters as an entertainment, but also finding something more meaningful in them. Links up with: The Great Gatsby features fancy shirts and evening clothes. 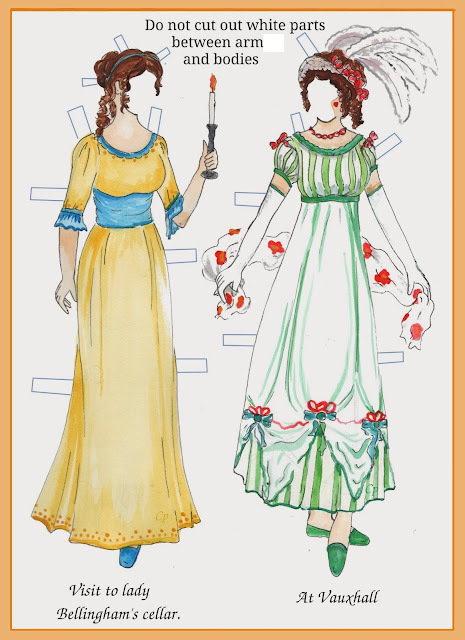 Nancy Mitford’s Fanny and Polly go to dinners and dances. 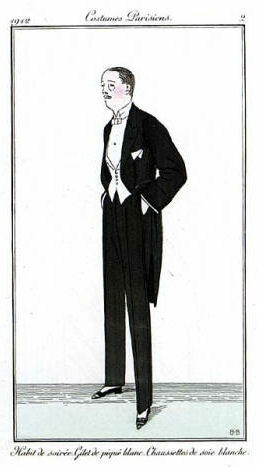 Lord Peter Wimsey is reputed to look good in evening dress. List all examples of racism in Dance. Your take on the Dance is rather parochially trendy and myopically strabismic or the typical take from The Gaurdian [sic]. If you remove the lenses of inverted snobbery, ad hominem and casuistry, you will see that what you write above about "elitist, snobbish and quite racist" is really insipid. Actually it seems like you have just taken the pre-fab Leftist twaddle about Dance and regurgitated it here. If I write about the world I know, and the people in it, am I elitist? If some of these people are snobs, am I a snob? Many of Powell's characters are shown in a less than flattering light - this is how he saw them - and some will inevitably fall into categories currently deemed out of bounds, hence a charge of racism. If Powell was a snob and a racist, he kept it, and practically everything else about himself, well hidden in his writings, even in his multi-volume autobiography. I hope this blog entry will entice the curious to take a turn with the Dance. If anyone were to read the books because of my blog entry I would be delighted. I very much like them myself, they have given me great enjoyment, despite my reservations.